Forecasters say Southern California will rapidly switch to summerlike conditions on the heels of a chilly system that dusted mountains with snow. The San Diego National Weather Service office says the temperature swing from Wednesday to Saturday will be up to 30 degrees as high pressure builds. 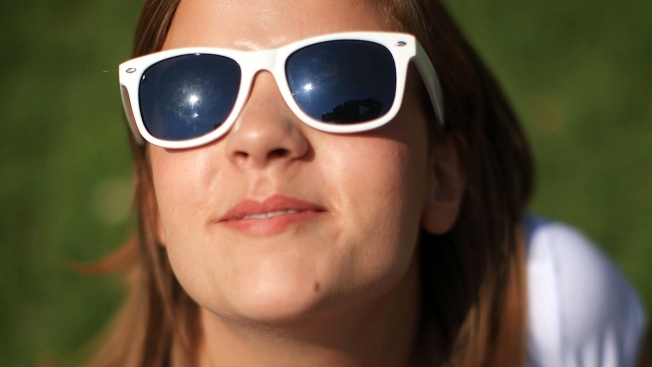 Valley temperatures are expected to reach the 90s while lower deserts top 100 degrees. 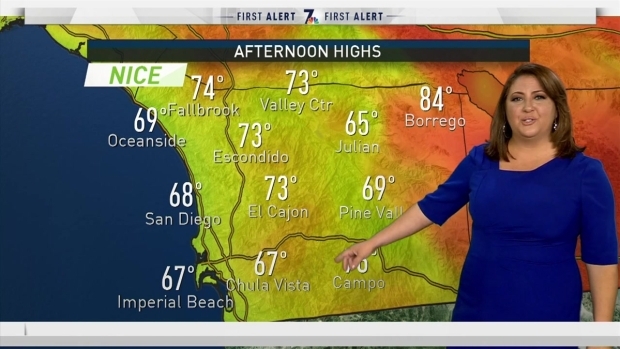 "The Golden State is going to be turning golden again," said NBC 7's weather anchor Whitney Southwick. By Saturday, San Diego will see beach weather along the coast with temperatures in the 90s inland. An excessive heat watch is in effect Sunday for desert communities of Imperial and Riverside counties. Temperatures of 105 degrees or above will significantly increase the potential for heat-related illness. The midweek chill with rain and snow showers came courtesy of a low-pressure system that has moved away. In the San Bernardino Mountains east of Los Angeles, the Snow Valley resort tweeted that Wednesday's storm left 4-5 inches of snow. The resort says that's not enough to reopen.